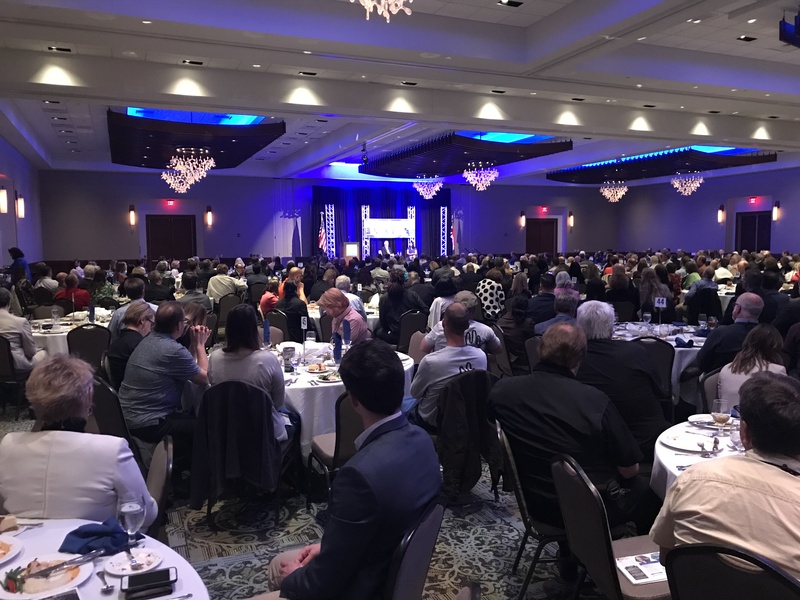 The grand ballroom of the Wilmington Convention Center was nearly full on March 27, 2019, as Wilmington-area business leaders enjoyed the kick-off luncheon and keynote speeches. Rulmeca Corporation showcased Motorized Pulleys produced in Wilmington and Germany at the Expo. The company was recently featured in the Greater Wilmington Business Journal. Click here to read December journal article. Rulmeca Corporation was honored to be one of the MADE Competition winners at Wilmington Biz Expo in the functional products category. Mike Gawinski and Brian Vrablic proudly display the award at the company’s booth.